BlueStack is a very good application for Windows PC. 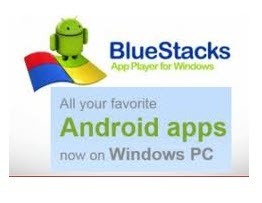 Blue stack releases software that allows the consumers to run on android apps on Windows PC. This application runs all android apps that are available on Google Play, GetJar, amazon etc on your desktop. One of the best thing about BlueStacks is that it runs the android applications in full-screen with very fast loading time that too without producing any error. Over the period of this article we provide the necessary steps to get Google Play to run on BlueStacks Beta. Take a complete backup before start to proceed eventhough it is not necessary and charge your battery fully. Uninstall all the antivirus tools because there is a chance to interrupt in the middle of the process. Enable the USB debugging mode by following the path “Settings > Applications > Development > USB Debugging”. First install the root explore (you can download this for free using bluestacks and typing in the app name). Again you need to download the Vending.apk and Google Framework from here. Find Google Play and sign in with your e.mail and password.